Tunnel Connector is suitable for cable sizes from 40mm2 to 260mm2 Cables are secured in the connector with two hexagonal socket screws. A tin-plated brass Palm Connector can be fitted to the bushing instead if required. 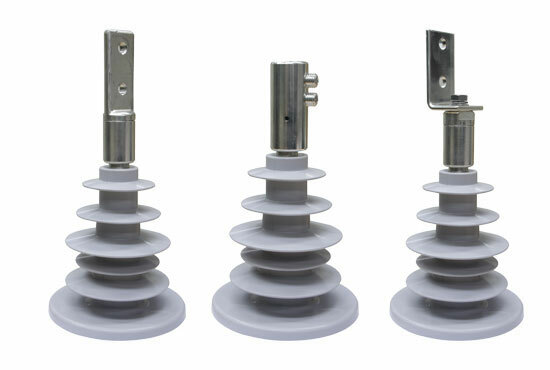 NEMA 2-Hole Palm Connector provides an alternative connection method to the OSM recloser HV terminals with 12mm threaded holes. Right Angle 2-Hole Palm Connector provides an alternative connection method to the OSM recloser HV terminals. 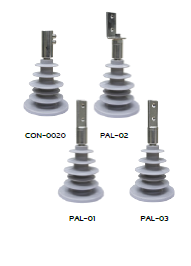 NEMA 2-Hole Palm Connector provides an alternative connection method to the OSM recloser HV terminals with 14mm non‑threaded holes.